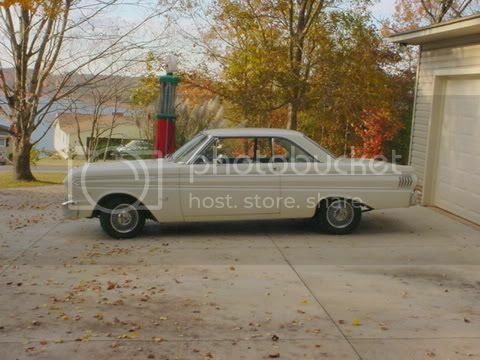 I consider Dennis Carpenter a good vender,,I have never bought a Falcon part but have purchased a lot of 54 Ford parts,,especially rubber,,,quality is always good,,sells reps are friendly and shipping is always slow. I have purchased several hundred dollars of parts, mostly weather stripping, from Carpenter and have been very satisfied with them. Maybe I'm biased since I've been to their facility and museum many times and have been impressed with their service and style. I have had nothing but good experiences dealing with Dennis Carpenter. I have bought 1940 rubber and plastic, and 1964 Falcon rubber parts from them. In fact, when it comes to reproduction rubber parts, I prefer those made by Dennis Carpenter over those made by Bob Drake (Carpenter uses a firmer rubber, which does not deform when mating parts are bolted together.). Placed my first order with Dennis Carpenter a few weeks back. I needed some weather stripping and a battery tray for my '64. I wanted the Dennis Carpenter weather stripping because of their reputation with that type of product. I knew that all the battery trays come from overseas so I bought it from Dennis Carpenter at the same time to save on shipping cost. When I received my order, I realized that they sent the wrong battery tray. They sent one for a '41-'48 Ford car. Also, this tray was not painted like the picture on the website and was beginning to show signs of rust. I promptly called and explained the situation. They offered to send the correct tray right away and confirmed that it was in fact painted chassis black. They also gave me a RA# to send back the incorrect tray and promised to refund my cost to ship it back to them. I am happy to say that I did finally get the correct battery tray and was refunded my cost to return the wrong one. I've found nothing but excellent parts and service from Dennis Carpenter.